The figures of Egypt’s most recent census, that of 2017, have been announced by Major General Abu-Bakr al-Gendy, head of the Central Agency for Public Mobilisation and Statistics (CAPMAS) at a recent press conference in Cairo. Attending the conference was President Abdel-Fattah al-Sisi who attentively listened to the figures and ordered that a committee of experts and scholars should be formed to explore strategies to deal with the consequences and challenges of the rising population. According to Mr Gendy, Egypt’s population stands at 104.2 million Egyptians, 90 per cent of whom—94,798,827—live inside Egypt; and 9.4 million live outside the country. Mr Gendy said that these figures rank Egypt 13th worldwide in population. The 2017 figures are 22 million more than those of 10 years ago, and 46.5 million above those of 30 years ago, a growth of 96.5 per cent. The annual population growth rate stood at 2.04 per cent in 1996 – 2006, but rose to 2.56 in 2006 – 2017. March 2017 official figures by CAPMAS, however, revealed the annual population growth rate in 2016 – 2017 to be 2.4 per cent. Egypt’s population strategy: Could we stem the tide? 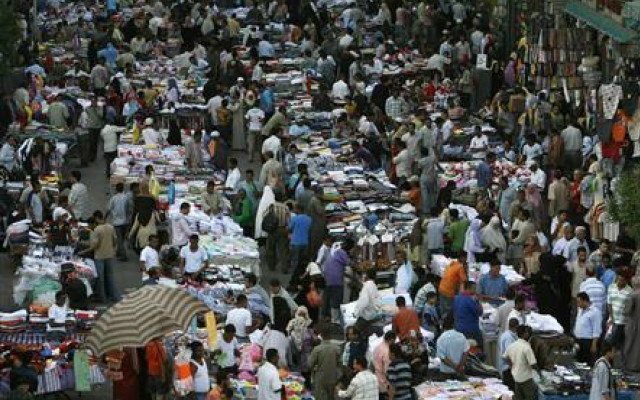 Egyptians living in urban areas make up 42.2 per cent of the population. Egypt includes 16.1 million residential buildings. The census figures reveal a young population. The 15 – 24 age group makes up 18.2 per cent, and children less than five make 13 million, some 12.5 per cent. In all, 34.2 per cent of Egyptians are less than 15 years old. Persons over 65 years of age make 3.9 per cent of the population. Those who claim that women in Egypt far outnumber men, and hence justify polygamy, were in for a surprise. The census reveals that males make up 51.6 per cent of the population; females make 48.4 per cent. Married persons amount to 68 per cent of the population, 65.9 of the males and 70.2 of the females. The number of families stands at 23.5 million. But the shocking fact was that the number of females less than 12 who were married was on the rise. This drove the President to order an immediate investigation into the matter, since it is illegal for girls under 18 to get married; meaning that the law was widely breached. “How can we be so harsh on our daughters and women?” the President asked. As far as education is concerned, Mr Gendy announced that illiterates in Egypt number 18.4 million, 10.6 females and 7.4 males; the majority of illiterates live in Upper Egypt. Some 28 million are not enrolled in the education system, whereas 3.9 million hold university degrees. The highest proportion of Egyptians is that of those in the age bracket 15 – 64, the potential work force; they make 61.9 per cent of the population. 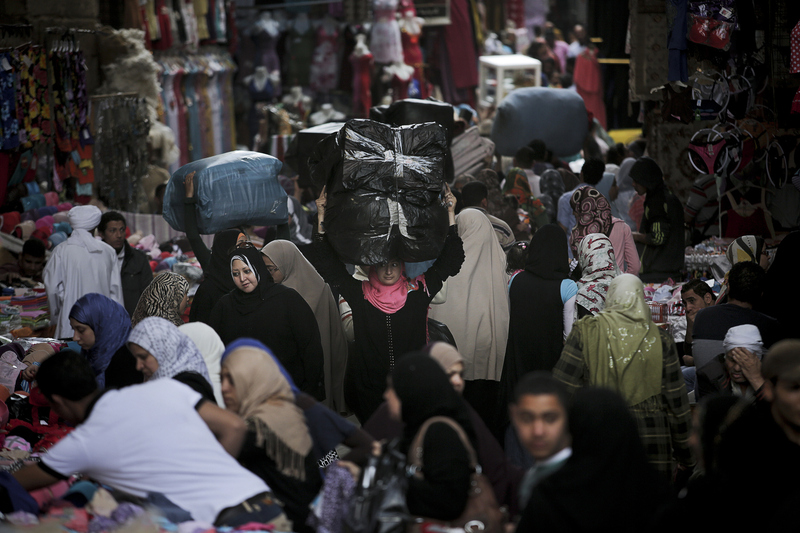 Egyptians carry goods through a small crowded market street in a neighborhood of Old Cairo, Egypt, Saturday, April 20, 2013.